Recently I have been thinking about diets – wanting to lose body fat (not weight necessarily) and I heard about the Military diet – a diet low in calories which would produce a calorie deficit and thereby helping you to lose weight. It is a specific diet where you eat the set meals of specific foods that add up to about 1200kcals a day. You go on this diet for 3 days and then you have a 4 day break. The diet includes foods like tuna from the can, grapefruit, black coffee and vanilla ice cream, so it’s not necessarily a healthy food diet. I was intrigued by this diet when I first heard about it maybe a year ago and wanted to try it – but I never got around to doing it. I decided to do a bit more research about diets, the psychology behind dieting and why diets often fail. And I realised that diets do not set the average individual for success if they have weight loss or fat loss (and weight maintenance) goals in mind. Diets such as the Military diet are a quick fix for losing weight in a short amount of time (which can be useful when you have an occasion to attend and you just need a quick solution) and so they don’t change your long-term eating habits which are crucial for you to maintain the weight you have lost (if any). Foods included in the military diet like ice cream, clotted cream and frankfurters aren’t the best for easing yourself into dieting and a healthier lifestyle and they are calorifically high. So after having concluded that the reason why the Military diet DOES work is simply because of the very low calorie intake (usually it is 2000 for the average woman) I decided to adjust my own eating habits with this fundamental concept (of all diets – not just the Military diet) in mind. And so I decided to increase my intake of fresh fruits and vegetables (this was a specific goal of mine), and pay attention to the calories I was consuming. To do this I counted calories. Calories is not the be all and end all of losing weight but as it is an important factor. Essentially to lose weight it is simple, you need to expend more calories than you consume. This is simple enough to rationalise but actually counting and accounting for your calories is much harder. 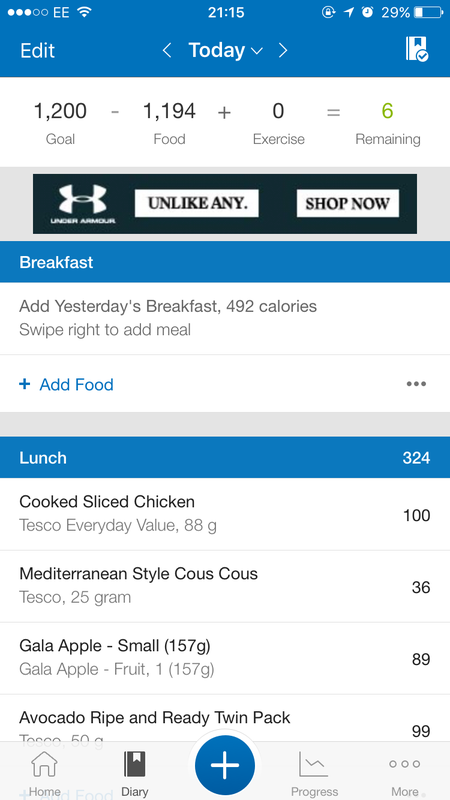 A popular, free app that helps you count your calories is Myfitnesspal. It is an easy, fun app to use which lets you scan barcodes of foods so you can input your daily calorie allowance which is very interesting if you’ve never done it before – interesting to see how many calories you actually consume! The trouble with counting calories is that it can be tedious and tricky at times when you are making dishes from scratch and in order to calculate the correct calorie amount. You need to quantify – to weigh your food – and so I bought a sleek, new black glass top scale to match my kitchen counter for that! And before I cook something I’ll weigh it and then input into MFP app. Counting calories for me is interesting, it is a challenge and requires some effort but I think it is worth it. From counting calories for a week or so now, it occurred to me that really, all calories are not equal (- something I always hear people saying but not actually understanding what it means). For example X grams of a green leafy vegetable is much less calories than say a small slice of cake weighing a lot less. So calories are not equated to portion size or weight but more to do with the quality and composition of food. This is an easy concept, perhaps obvious even yet I was quite surprised at just how low the calories were for some vegetables like onions, bell peppers, carrots (all the good stuff). Whenever I go out I am weary of the high calories and low quality nutrients (saturated fats and sugar) that are in the foods – especially cakes and pastries in coffee shops (- I go to a lot of coffee shops for uni revision purposes of course) and avoid them if I can. Big companies like Starbucks and Cafe Nero have the helpful courtesy of displaying the number of calories in their cakes and pastries e.g. a slice of cake will have anywhere between 300 to 400kcals – which is almost a quarter of the recommended calorie intake. It’s no wonder it’s so difficult to lose weight and be healthy when we are surrounded by so much processed, high sugary foods. In order to eat healthier, better and to lose weight/fat, counting calories is key as I have mentioned before. And is best to approach dieting in a way that suits you. You should find healthy foods that you do enjoy and try to incorporate these into your diet, reduce the amounts of foods that you like that are bad for you (rather than immediately cut them out because you’ll rebound and end up eating even more), and really think about why it is that you want to diet/lose weight – is it to feel better, more healthy and have more energy or because you want to achieve a long term goal or change certain habits? Questioning your motives is essential for successful progress. Without real reasons for your intentions your weight goals will be redundant and you will soon lose motivation. There will be days when you feel like you are making no progress at all and you just want to pig out and eat a whole Dominos pizza (me last week) but remember small progress is still progress, and that any progress is better than no progress. So keep going, you can do it! Think about the reasons WHY you want to lose weight. 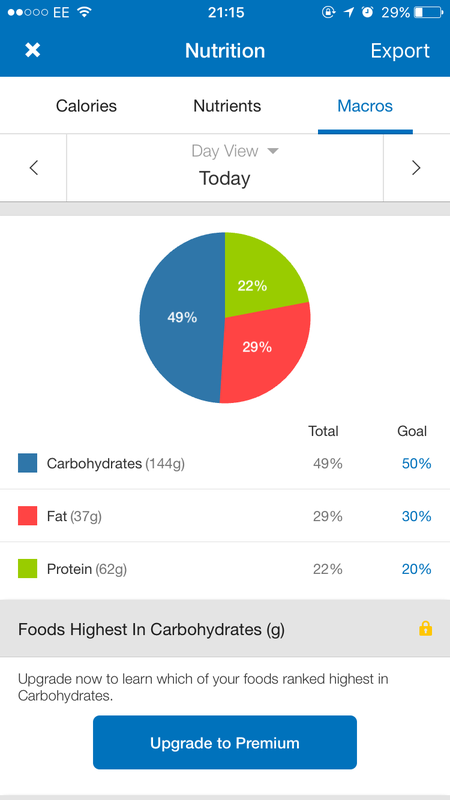 Myfitnesspal app which lets you group your calories by meals. *Note my calorie goal is very low – much lower than the average female because I am much smaller than the average female. Macro counting is another useful function of the app. 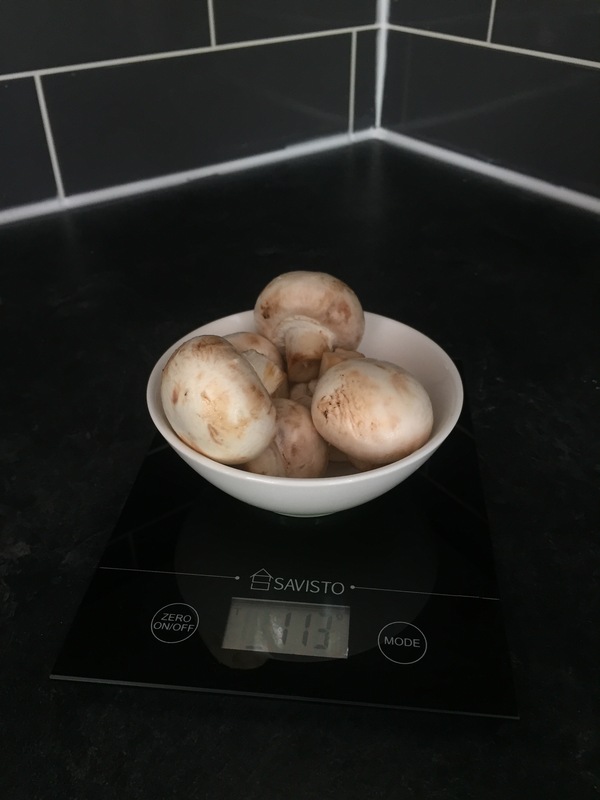 Weighing some white button mushrooms with my beautiful new scales. 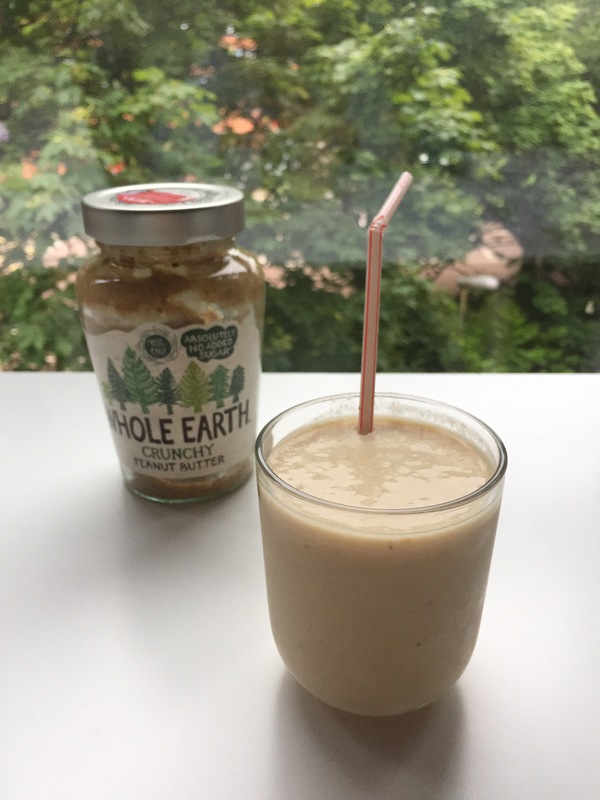 A delicious glass frozen banana and peanut butter soy milkshake (a healthy alternative to normal sugary milkshakes) which tasted amazing!